Many Alfa Romeo owners completely neglect the condition of the suspension or they don't notice the gradually deterioration which is a pity because responsive handling of the Zagato - which can be a great joy - depends on a taut suspension. The bushes at the bottom wishbone of the front axle are a Metalastik-type design - neoprene insert in a steel casing. If the steel corrodes due to water penetration these bushes tend to seize with the result of groaning noise whenever you drive with your car over bumps. If you ignore the noise you'll damage the wishbone swivel bars. Exchanging the bushes means complete dismantling of the front suspension. Hence the springs have to be taken out - a job which should only be done with a special tool. Take this advice seriously - the springs have enormous power and can seriously harm you if not handled correctly. Since the steering, tracking, castor and camber needs to be readjusted after working on the front suspension it is a good idea to exchange all doubtful parts in one go. 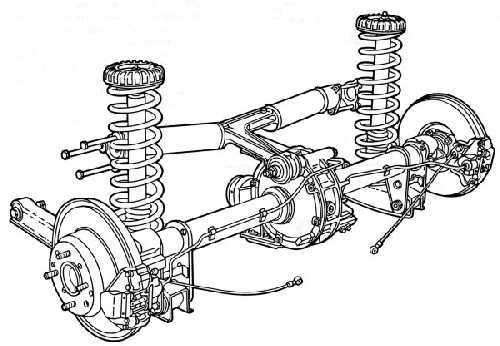 The bushes in the rear trailing arms tend to seize and play is felt as a kind of rear end steer-effect whenever you apply or release power. You can choose whether you like to change the complete rear trailing arms which are available with new bushes already installed or to change only the bushes. The T-shaped reaction trunnion which guides the rear axle has small rubber cone bushes. When they deteriorate a general instability at the rear axle can be felt. When you change the bushes make sure that you reinstall the correct shims for each side. It is also a good idea to exchange the two rubber bushes which guide the bolt for the rear axle in the reaction trunnion. They come in hard and soft rubber mixture - go for the hard mixture. If you hear clunking when accelerating or if you feel harsh movement out of the transmission tunnel the universal joints of the propshaft need replacement. I would go for an exchange propshaft rather than exchanging the joints myself. The Hardy disk should be exchanged when you see cracks or even better when you have purchased the car. It is a cheap part and worthwhile to be changed because if it tears apart you'll encounter a devastated transmission tunnel and in worse case you can seriously harm yourself through an out of control propshaft. 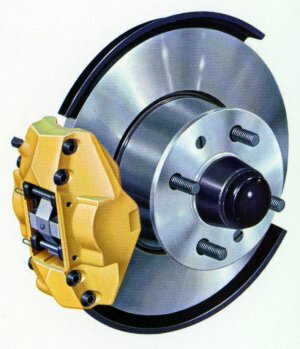 All other bushes and balljoints tend to seize with age and use, as with any other car. Dampers tend to become softer and I have also seen cars with corroded spring pans. The front anti-roll bar which is bolted into the front crossmember tends to rust out of its mountings. Recirculating ball type, manufactured by Burman. You can identify this type easily: It comes only with a plastic plug to refill oil if necessary. Worm and roller type, manufactured by ZF. It can be identified by the little manufacturer plate riveted on the housing and by an additional screw to adjust the steering. Attention: Don't touch the setting without the proper special tools and the manufacturers manual, otherwise you will destroy this type of steering! Generally both types of steering are fairly durable - if you feel wear or play in your steering the reason for it can be found in nearly all cases in worn out balljoints or in corroded chassis walls (where the steering box is bolted to the chassis). Replacement steering boxes are still available but prices are high. Additional hints for Burman- or ZF-Steering can be found in the restoration-description of my car. Alfa Romeo is using Ate-Diskbrakes on all four wheels since a fairly long time. Junior Z 1300 are equipped with standing-pedals and a single-circuit brake, whereas Junior Z 1600 have hanging-pedals and a twin-circuit brake. Braking is in both cars power-assisted. With age the brake tends to have rusty brake pipelines, old (soft) brake-tubes and worn disks. Overhauling of brake cylinder or brake calipers might be due. All parts are available, however you might have to look a little longer for brake-cylinder repair kits of the single-circuit brake.